Schedule your appointment with Dr. Trovato, D.O. Erika L. Trovato, D.O., M.S., is Board-Certified in Brain Injury Medicine and Physical Medicine and Rehabilitation. As Co-Director of the brain injury unit and rehabilitation program at Burke Rehabilitation Hospital, Dr. Trovato leads a multidisciplinary rehabilitation team of physical, occupational and speech therapists, as well as nurses, neuropsychologists and other rehabilitation specialists in the management of diagnoses such as traumatic brain injury, brain tumor, skull fracture, poly-trauma, intra-cerebral and subarachnoid hemorrhage, as well as ischemic stroke. Dr. Trovato is also involved in the treatment of spasticity using interventional and non-interventional approaches. 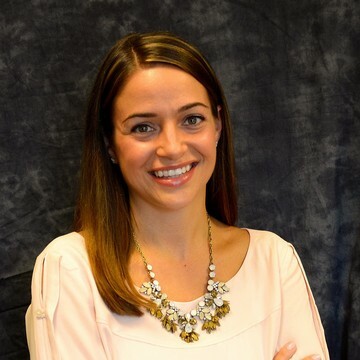 Dr. Trovato received her medical degree at the New York College of Osteopathic Medicine in Old Westbury, NY and completed her residency in Physical Medicine and Rehabilitation at Rusk Rehabilitation at NYU School of Medicine in New York, NY. She completed her brain injury medicine fellowship at Rusk Rehabilitation as well. Dr. Trovato is a member of the North American Brain Injury Society, Brain Injury Association of New York State, Association of Academic Physiatrists and American Academy of Physical Medicine and Rehabilitation. Her research interests include sleep dysfunction after brain injury as well as the development of quality-improvement projects to enhance and improve the patient experience while completing their rehabilitation course.